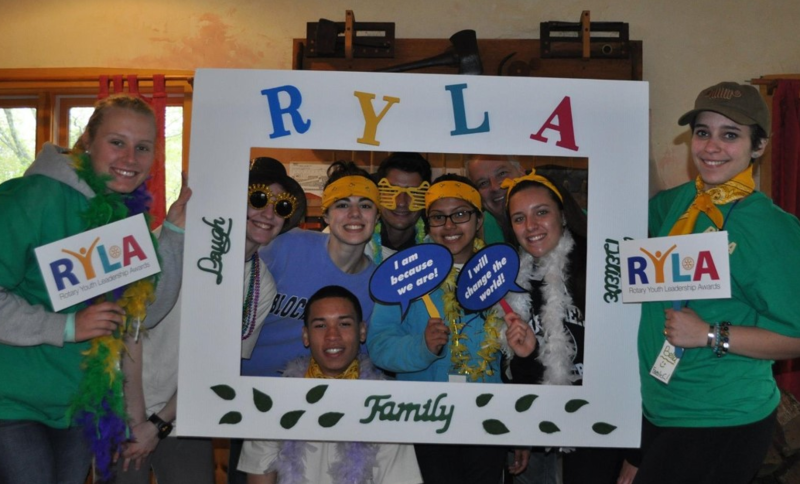 Registration is now open for the 2019 RYLA- Rotary Youth Leadership Awards- weekend on Friday-Sunday, May 10-12, 2019, at Camp Glen Brook in Marlborough, NH. RYLA is a weekend of discovery designed for high school sophomores and juniors. Designed for teens who have begun to exhibit leadership skills and want to take them to another level, RYLA features indoor and outdoor activities that challenge them to become leaders. The overall program is run by Rotary District 7930, and the entire weekend is carefully planned and facilitated by returning seniors from prior RYLA years. Every aspect of the weekend is intended to ensure a safe and challenging environment in which the participants are free to engage and grow. Increased awareness of some of the other Rotary Youth Programs, like Interact and Youth Exchange. District 7930 clubs are invited to sponsor up to five students. The sponsoring club will pay the $325 per student tuition, and student applicants will each pay a $25 registration fee. RYLA applications can be downloaded from the District 7930 website at bit.ly/RYLA2019. Limited spaces are available for the weekend-- clubs are encouraged to start the application process as soon as possible. Information packets will be mailed to Club Presidents and/or Club RYLA Coordinators in the coming month. For more information about RYLA, contact RYLA Chair Christina Harris at christina@partnerwithchoice.com.